Apple made some progress in hiring more minorities. But when it comes to women, its efforts fell flat.The company on Thursday released its annual diversity and inclusion report, the first since creating a new vice president position to oversee the area. Denise Young Smith, Apple's former head of HR, was named to the role in May. Only about a third of Apple employees as of July 2017 were women, the same level as last year, the company said. When it came to underrepresented minorities, Apple reported a 1 percentage point increase to 23 percent. In the US, Apple's workforce was 54 percent white, down two percentage points from the year earlier. "We're proud of our accomplishments, but we have much more work to do," Apple said in its report. 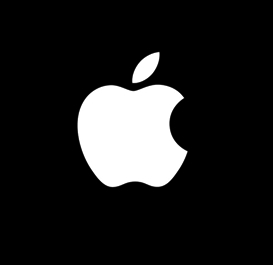 Apple has 130,000 full- and part-time employees around the world, with 83,000 of those working in the US. Its figures include its Apple Store employees, not just the engineers, designers and others working for the corporate parent. Apple and other tech companies have been trying to diversify their workforce, which includes boosting the number of female and minority employees. Under CEO Tim Cook's leadership, Apple has put itself at the front of social issues like LGBT rights, racial equality and the tech industry's need to improve workforce diversity. Still, it's been difficult for Apple and its peers to show significant percentage increases in diversifying its employee base. Apple said Thursday that the total number of female employees stayed flat at 32 percent as of July 2017. The company touted an improvement in attracting younger female employees. The number of female employees under the age of 30 has increased 5 percentage points over the past three years to 36 percent. Over that same timeframe, the total number of female employees has risen 2 percentage points, which equals 37,000 women. Apple's top leadership has shown little improvement in terms of boosting the number of women. In the past year, the number of women in leadership roles rose 1 percentage point to 29 percent. That was after staying flat at 28 percent from 2014 to 2016. Only one woman, retail chief Angela Ahrendts, holds a title of senior vice president or higher, though Apple has promoted women to lower leadership levels in recent months, including Deidre O'Brien to vice president of people and Isabel Mahe to managing director of Greater China. "Our female representation is steadily increasing, and we're proud of the progress we're making," Apple said in its diversity report. Apple also said that it's been actively hiring more employees from "historically underrepresented groups in tech -- women, black, Hispanic, Native American, and Native Hawaiian & other Pacific Islander." From July 2016 to July 2017, 50 percent of its new hires came from those groups. The company said 15 percent of its new hires over the past year are Hispanic, while 11 percent are black.